Dr Somov’s “Anger Management Jumpstart and Beyond“ offers step by step solutions for transforming and not just taming, the harmful energy of anger, fear, resentment and righteousness into self-awareness, compassion and most importantly, long lasting behavioural change. Anger is not easy to resolve or treat. For treatment to be effective, a multitude of tools, techniques and therapeutic models should be applied at different times. Not one or another treatment approach is better than the other, and there is no end to learning about new tools. 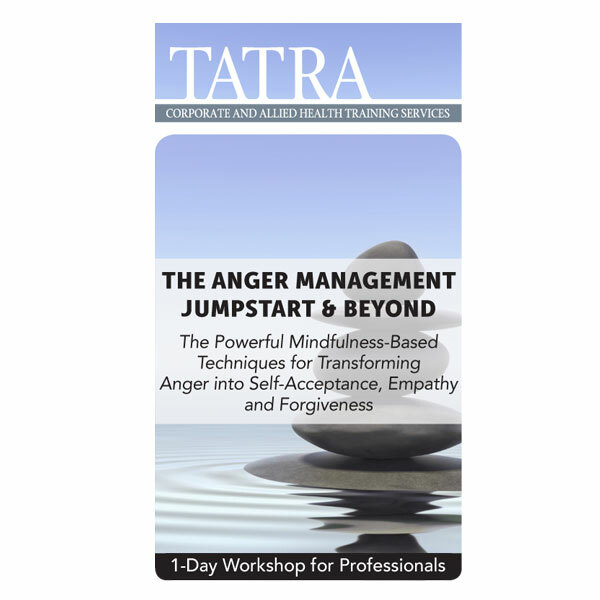 If you have attended other courses on managing and treating anger in the past, then add this one to your portfolio. It is different! Dr Somov’s “Anger Management Jumpstart and Beyond“ offers step by step solutions for transforming and not just taming, the harmful energy of anger, fear, resentment and righteousness into self-awareness, compassion and most importantly, long lasting behavioural change. This is not “just” another anger management course; it is a fast–paced, stimulating and an insightful workshop. It is a spiritually charged journey that will amaze you. Dr Somov’s four step Anger Jumpstart program will offer you new tools and interventions. You will be able to offer a quick and powerful charge of hope and positive direction for those clients who have been stuck in the rut of anger for too long.